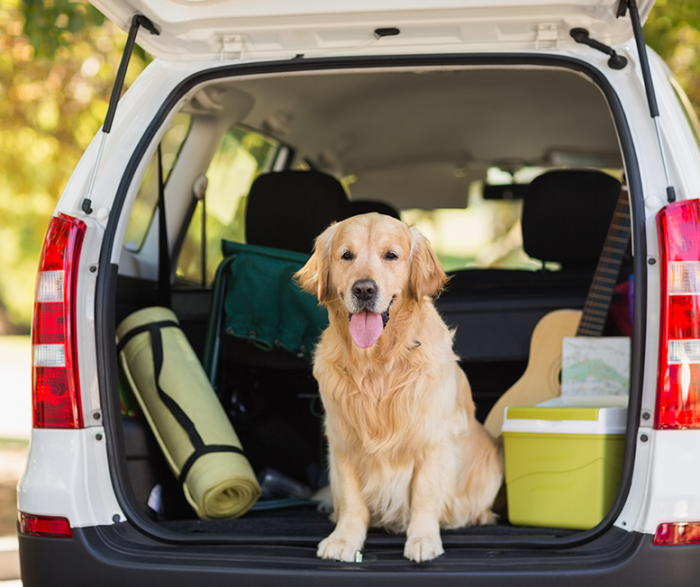 If you’re heading off on a road trip this summer, it’s only natural that you’ll want to take your pet with you. But before you buckle up, make sure you plan ahead. That way, you’ll ensure the comfort and safety of everyone in the car, whether they have two legs or four. 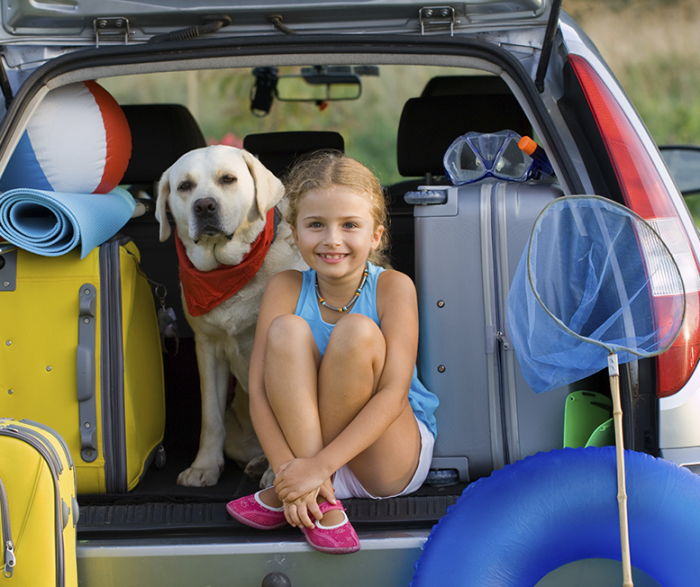 RSPCA NSW has listed seven top tips for travelling by road with your furry friend. Before setting off on a long journey, take your dog on several short trips. This will help him get used to being in a vehicle. Make sure you head for a waterway or park, rather than just going to the veterinarian. This will help your pooch associate car trips with having fun. If you’re transporting your cat, and know she gets anxious, speak to your veterinarian, who may be able to prescribe medication. Before going anywhere, it’s vital your pet has up-to-date identification. This includes an ID tag with your current phone number and a microchip. Please note that there are six microchip registers in Australia, so make sure your animal is listed on a national register, not just a state-based one. Your pet should be healthy enough to travel before you set off. Check with your veterinarian that she is up to date on flea and worming treatments, and vaccinations. RSPCA NSW also advises having the contact details of veterinarians along the way, and one at your end destination. Laws regarding transport restraints can vary from state to state. RSPCA NSW therefore recommends checking these before you travel. Generally, a dog restraint attaches onto the seat belt and your pooch’s collar or harness. Your dog should still be able to lie down, move and stretch. Even if it’s not required by law, having the right transport restraints can save lives. A moving dog can distract or disrupt the driver, which is potentially extremely dangerous. If there is a collision, an unrestrained dog risks injuring not just himself, but everyone else in the vehicle too. Having the correct restraints also prevents your dog from jumping out of the window, which is hazardous both for him and other road users. 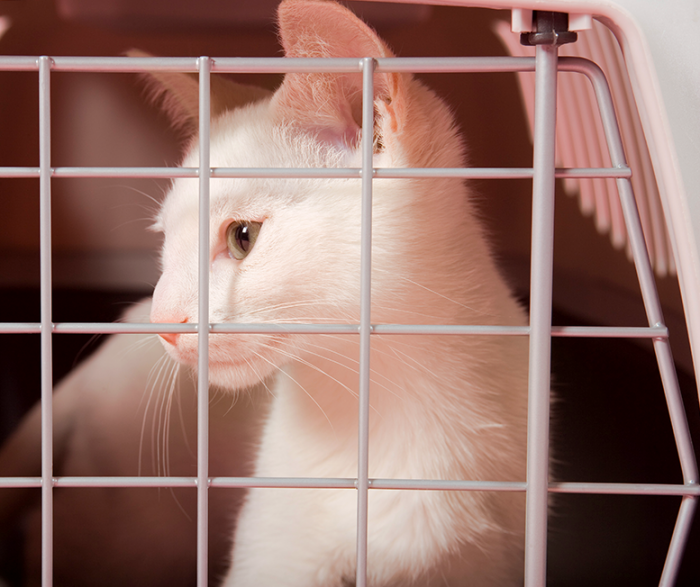 Cats need to travel in a secured carrier. These should always be big enough for her to lie down comfortably, sit, stand, stretch and turn around. Never put your cat’s carrier in the boot of your car. The same applies to pocket pets. Food and treats. Don’t forget a can opener if bringing tinned food. Food and water bowls. Always carry enough bottles of fresh water in case you can’t find a tap. Even if you’re not ready to stop, your dog needs regular toilet breaks and leg stretches. Don’t forget to give him water during the trip. You could also offer him chews and treats to make the journey more enjoyable. If you’re travelling for longer than two hours, your cat will need access to a litter tray. Never, ever leave your pet in the cat unattended, even if it is just for a few minutes. Even in overcast conditions, when the vehicle is parked in the shade, or if the windows are down slightly, the temperature inside a parked car can rise quickly to dangerous levels. You could risk your animal suffering severe heat stress, or even death in just six minutes. For more information about the dangers of leaving your pet in a car, please click here . To sign RSPCA NSW’s pledge to never leave your dog in a hot car, please visit: justsixminutes.com.au.